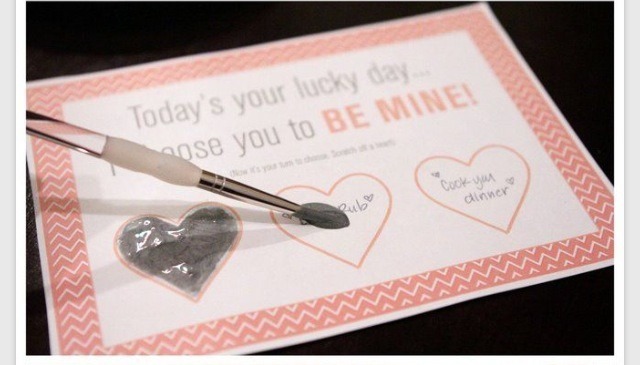 Make a little card with three choices of prizes for your partner. Ideas could include : cooked dinner, back massage, movie night etc you know your partner so you can tailor it especially to the things they like! Next, colour over the choices written down. Use a white crayon and make sure not to leave any spaces. Voila! Once dried you can give the newly made scratch to your partner! they can have the fun of picking and scratching and whatever they chose you have to do! I hope you and your partner enjoy this cute idea!